The opening ceremony of the Congress was held at METU Culture and Convention Center Kemal Kurdaş Hall at 10:00am on 27 June 2018, and METU President Prof. Mustafa Verşan KÖK, Acting Deputy Undersecretary of Ministry of National Defence Yunus Emre KARAOSMANOĞLU, Chief of the Main Directorate for Plans and Principles of the General Staff of the Turkish Armed Forces Lt. Gen. Yavuz TÜRKGENCİ, Vice President of Defence Industries Dr. Celal Sami TÜFEKÇİ attended the opening session. Vice President of Defence Industries Dr. Celal Sami TÜFEKÇİ said, “Taking into consideration our experiences in the past as well as existing threats and security problems our country and our region have been facing internally and externally, we are all witnessing the importance of the continuation of an effective defence existence strengthening every day for the future and independence of our country. In order to achieve powerful and self-sufficient defence capabilities, it is obvious that we require the constant modernization of our Army and Security Forces and to be equipped with weapon systems and devices with high strike power and effective enough to compete with enemies. For this reason, the Presidency of Defence Industries, having the main missions of establishing and the strengthening of our national defence industry and modernization of our security forces through our national defence, continues its activities with the target of developing fully domestic and national weapon systems required in the upcoming period. Two critical points emerge when the fact that weapon power, which is our power in defence and security areas; which would be achieved through obtaining technological power which is the strongest factors of weapon power. The first point is building a fully independent defence industry by developing the critical sub systems, components and technologies arising during the design and production of the platforms and systems required through national facilities within the scope of our existing operational concept. The latter is the necessity to launch the activities that will shape the technologies of future warfare concepts with the encouragement we gain from our experiences in defence technologies resulting from the policies and performance displayed by all shareholders of our defence industry including SSB and especially the approach and political leadership in recent years. The presentation delivered by the Vice Secretary General of SaSaD Yılmaz KÜÇÜKSEYHAN examining the Turkish and World Defence Industry was followed with interest after the opening remarks. Stating that either internal tensions or tensions with neighbors have arisen in many regions of the world KÜÇÜKSEYHAN added: “Tensions are increasing day by day, in the region we refer to as the China Sea and in the Oceania region. Up to date, there are 49 crisis zones identified all over the world. A major part of these is currently being experienced in our geography. The trade volume in the world has also been increasing every other day. And without doubt, an increase in the resources allocated to the defence industry is in question. In 2017, the top 15 countries of the world allocated US$1.395 trillion to defence. Turkey allocated US$18.2 billion to the defence industry in 2017 and climbed to the 15th rank in the list. The resources spent on defence by Turkey equals to 1% of the worldwide defence expenditure and 2.2% of the Gross Domestic Product. The resources spent on defence expenses in all the Middle East region is at the level of 5.2% and this ratio was calculated as 10% in Saudi Arabia. In respect to the American region, there are no increases or decreases in the defence budget including the US and Canada. Russia did not place any restrictions on its modernization budget”. Underlining that within the scope of the research conducted by independent research institutes, Turkey stood out as one of the most advancing four countries (Brazil, South Korea and India) in the world, KÜÇÜKSEYHAN stated that Turkey has been proceeding on its path to become one of the six countries (Brazil, South Korea, China, India, South Korea and Turkey) that are expected to become the power elites in their regions as well. Mentioning that the total turnover of the world’s greatest 100 defence industry companies totaled US$ 374.9 billion, KÜÇÜKSEYHAN shared that three Turkish companies (TAI, Aselsan, Roketsan) were presently among the world’s greatest 100 defence companies. Besides the services bringing foreign exchange earnings, and despite the fact that the US$1.6 billion in export figures increased to US$1.7 billion in 2017, KÜÇÜKSEYHAN expressed that as a result of the sharp fall in the aforesaid services, the defence industry export figures of 2017 remained behind the previous year. Sharing the list of the countries conducting the most exports in 2016, KÜÇÜKSEYHAN noted that the US achieved US$21.443 billion in exports in 2016 while Russia accomplished exports of US$14.5 billion, France US$6.7 billion, Spain US$4.12 billion, South Korea USD 3.54 billion and Germany achieved US$1.72 billion in exports and added that Turkey would also be lagging behind countries that did not declare their data such as China, the United Kingdom and Israel and that Turkey remained at the 11th rank in the list in 2016 with its exports of US$1.66 billion. 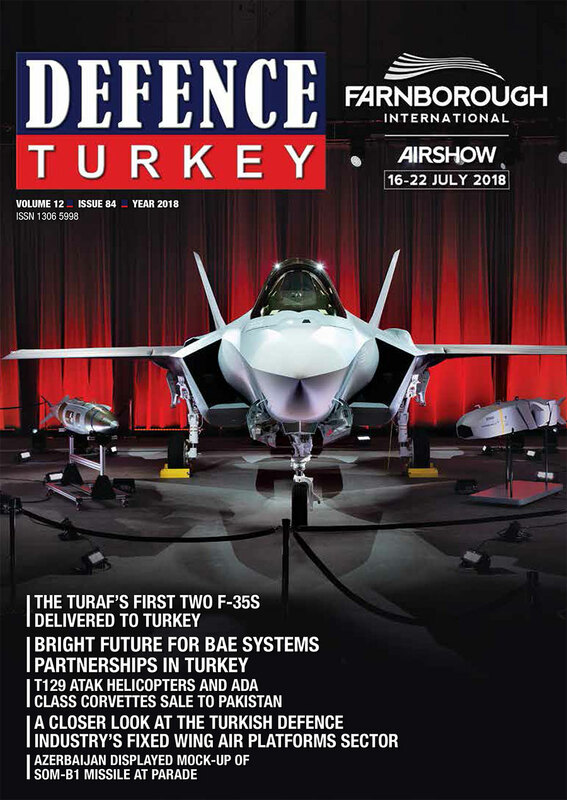 Head of the R&D and Technology Management Department at the SSB Şaduman AZİZ provided an overall defence industry evaluation at the congress and stated: “When we take a look at our overall portfolio, we are executing a total of 604 projects under the auspices of the Presidency of Defence Industries. The approximate volume of these projects is US$90 billion. 63% of these projects were already contracted and they cover 385 projects in figures. Contracts of 219 projects have not been signed yet. In concern with the defence expenditures of the world, with US$14.9 billion against US$1.68 trillion, Turkey remains at the 15th rank on the list and takes 1% of this market. Taking a look at the defence and aerospace turnover, within a period of 11 years between 2006 and 2017, we reached the level of US$6.7 billion with an increase of 3.5 times. In this 11 years’ period, our export figures tripled. In respect to R&D expenses, we observe a14 fold increase in 2017 resulting in US$ 1.3 billion. In the total employment of the defence industry there is a portfolio of 44,740 people, and if we take a look at its distribution, 35% of the aforesaid figure is composed of production staff, 42% is composed of administration and support personnel, 21% of it consists of production and technology development staff and 2% is composed of executives. We are aware that these figures need to increase. In accordance with the decision adopted by the Supreme Council for Science and Technology, we have been working collectively on achieving the target of training a research team of 300 thousand people for the year 2023. Considering R&D and technology management, while R&D expenses remained at 0.5% in 2004 of the Gross Domestic Product, it reached the level of 1% in 2016-2017. Of course it is still not sufficient. Our aim is to elevate this figure to the level of 3% by the year 2023. When we compare Turkey’s R&D expenses with the R&D expenses of the Defence industry, we come across that the R&D expenses of the defence industry remain at US$1.3 billion within overall R&D expenses of US$ 8.2 billion. On the other hand, if we focus on the public and private sector portions, we observe that this figure is at the level of 28% within the defence expenses under the private industry’s R&D expenses. Is this enough? Of course, it is not”. During the three day program 125 manifests in the following main themes were presented: “Land / Sea/ Air - Space Platforms”, “Weapon - Ammunition - Propulsion Systems”, “Armor, Protection and Invisibility Technologies”, “Protection from Hand Made Explosives and their Detection and Destruction”, “Unmanned Systems”, “Communication, Electronics, Information, Surveillance and Reconnaissance Systems”, “Electro- Optics and Sensor Technologies”, “Electronic Warfare Systems”, “Cyber Security Technologies”, “Modelling, Simulation, Augmented Reality, Virtual Reality”, “Micro and Nano Technologies”, “Power and Energy Technologies towards Defence Applications”, “Material Technologies”, “CBRN Defence Technologies”, “Operational Research and Decision Support Systems”, “Network Centric Warfare”, “Demand and Resource Management in Defence”, “Human Factor and Health”, “Logistics Management”, “System, Project, Production and Risk Management”, “Innovation, R&D and Technology Management”, “Public - University - Industry Cooperation in Defence”, “Qualification / Certification/ Accreditation” and “Digital Transformation, Artificial Intelligence and Big Data Analysis in Defence”. Within the scope of SAVTEK 2018, the “Next 20 Years of Defence Industry Panel” took place on Wednesday afternoon, 27 June 2018. In the panel moderated by Secretary General of SaSaD Hüseyin BAYSAK, the expectations of FNSS on Land Vehicles, Turkish Aerospace (TA) on Air Platforms, DESAN on Naval Platforms and Aselsan on C4SIR in the next twenty years and information on the preliminary work of such institutions in this direction were delivered. Moreover, a presentation was made on the completed and ongoing projects of the The Presidency of Defence Industries (SSB) and on the projects included in their program for the next 20 years. 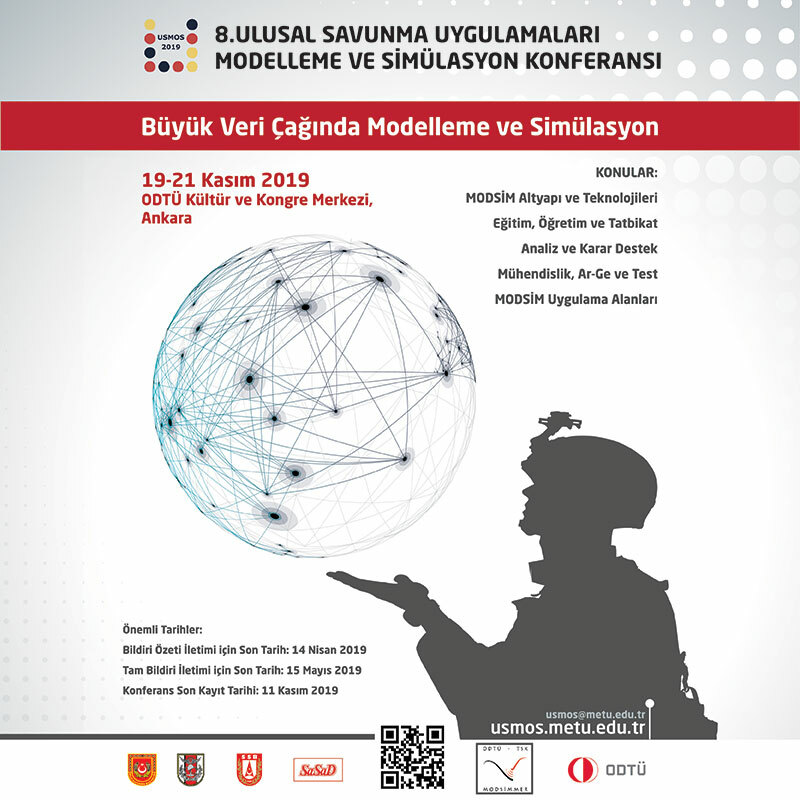 On the last day of the Congress, the panel titled “Big Data, Artificial Intelligence and Cyber Security“moderated by Prof. Gözde BOZDAĞI AKAR was conducted with the participation of Air Defence Colonel Şakir Cumhur SOMER, Mustafa ÖZÇELİK (SSB), Mustafa DAYIOĞLU (TÜBİTAK), Dr. Emin İslam TATLI (SSB), Orçun DAYIBAŞ (Havelsan), Dr. Atilla ÖZGİT (METU - BILTIR) as panelists. 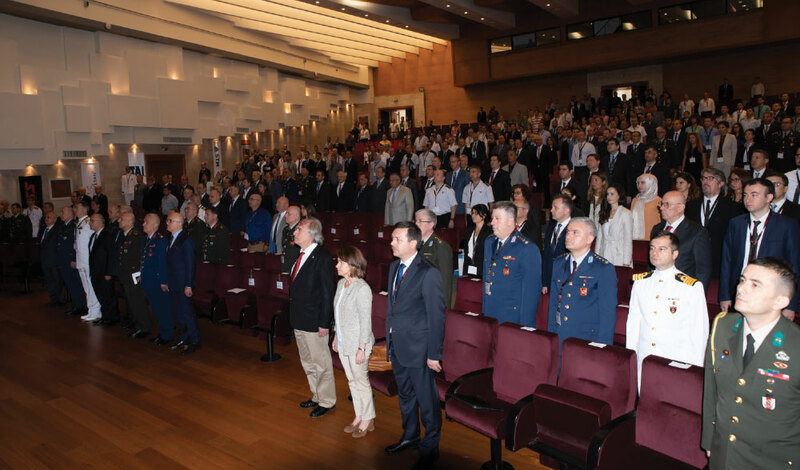 Approximately 500 participants composed of Turkish Armed Forces, Universities and Industrialists attended the Congress and the panels, manifests and speeches of the invited speakers were followed with interest.